MIUI 9 is now available for the Mi Mix, Mi Note 2, Mi 5, Mi 5s, Mi 5s Plus, Mi 5c, Mi Max 2, Mi Max, Mi 4s, Mi 4c, Mi Note Pro, Redmi Note 4 and the Redmi 4x. So here today we are going to show you how to install MIUI 9 fastboot rom on your favorite Xiaomi phone. You can find the download links of the MIUI 9 rom from the download section below. All you have to download the latest MIUI 9 fastboot rom on your windows desktop and flash the same with the help of Mi Flash tool. This guide will work on any Xiaomi phone. All you need a Windows PC and Mi Flash tool to install the MIUI 9 Rom on your phone. Once the ROM is flashed on your phone you need to install the Google Apps on your phone to use all the google application like Google Play store and all. So lets get started and install MIUI 9 on Xiaomi phones. Read all the steps very carefully and follow all of them one by one on your phone. The process is little bit lenghty but not so difficult. Download MI flash tool here, to flash the MIUI 9 on your phone. Download the MIUI 9 Fastboot ROM for your phone from the below mention links and extract the folder on your desktop. MIUI 9 Chinese ROM doesn’t come with the Google Play store, so you need to install it separately on your phone. 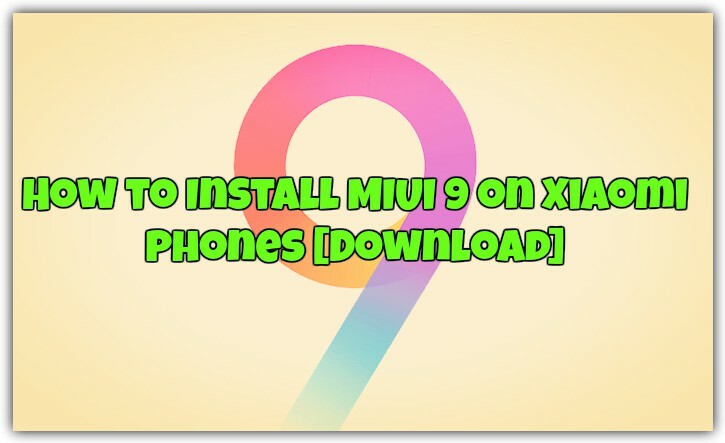 So with this way you can easily install MIUI 9 on your phone. If you are facing some problem during the flashing process, then leave the comment below and we will help you to fix it up. sir mujhe redmi note 3 me miui 9 update karna hai kaise karu ??? Sir mere redmi 4 me miui 9 update nai ho raha hai?? Kaise hoga please help me sir.